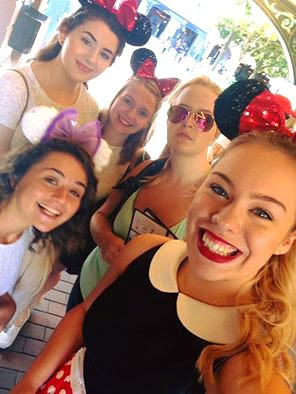 As every other eighteen year old flew off to alcohol fueled clubbing holidays in Ibiza/ Magaluf/ wherever after finishing school, my friends and I jetted off to good ol' Disneyland to celebrate ourselves. 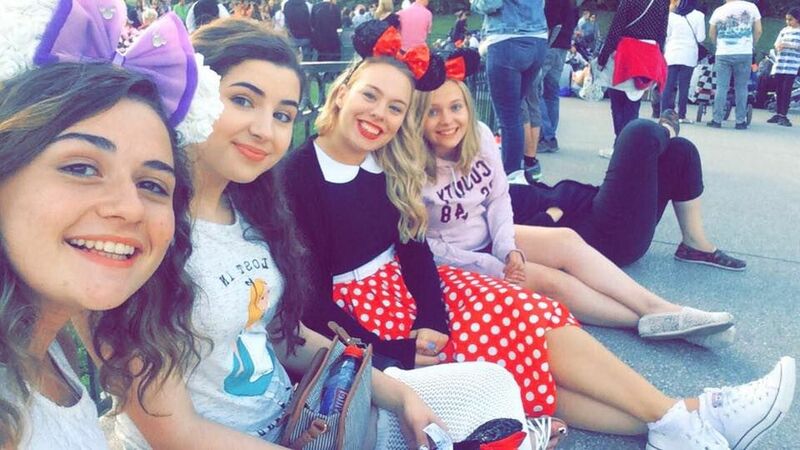 Myself and my four best friends visited Disneyland Paris for three days. 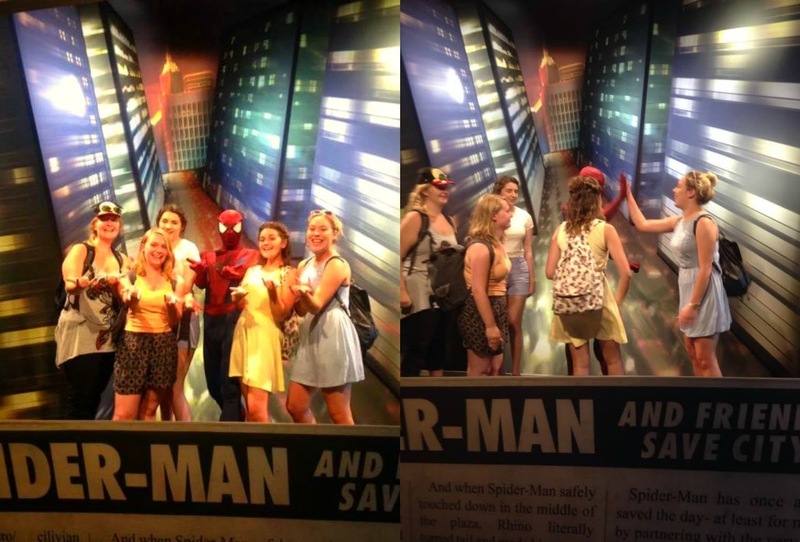 We are all major Disney nerds so we were super excited and skipped around like five year olds the whole time. It was my second time visiting Disneyland, I first visited last Halloween (read about that trip here!) so I knew what to expect this time around and mentally made note of everything I wanted to get done! It was really nice to visit during summer compared to last autumn as the park looked extra beautiful in bright sunlight every day. 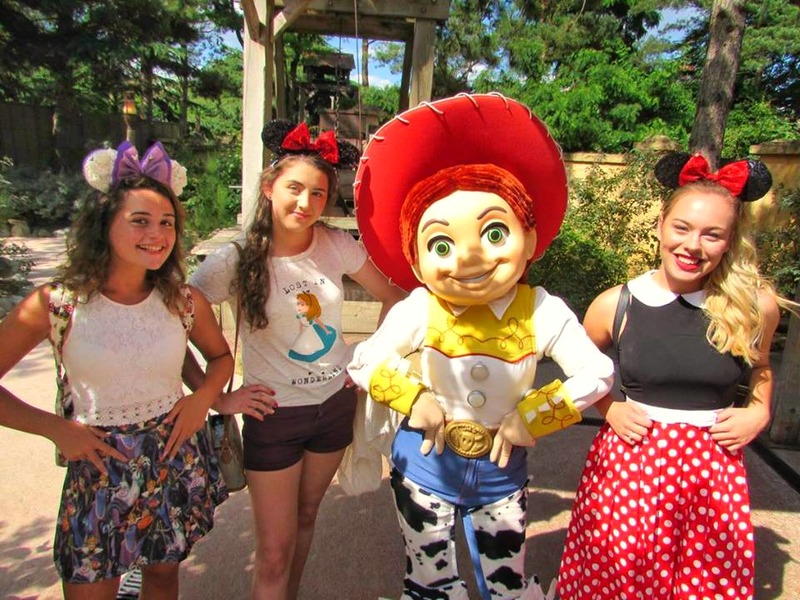 Similarly to my last visit, we were lucky enough to meet some of the Disney characters around the park. 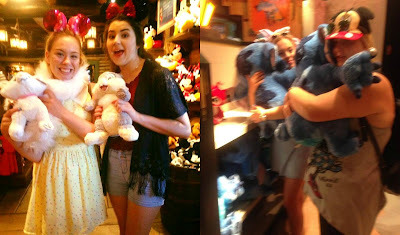 This is one of the highlights of Disneyland for me as its such a fun, interactive experience. Everything seems truly magical when you're there, including the characters! 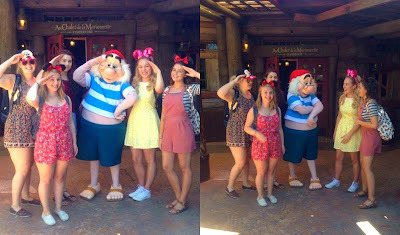 We waited around the Pirate Ship and met the cutest Smee from Peter Pan. 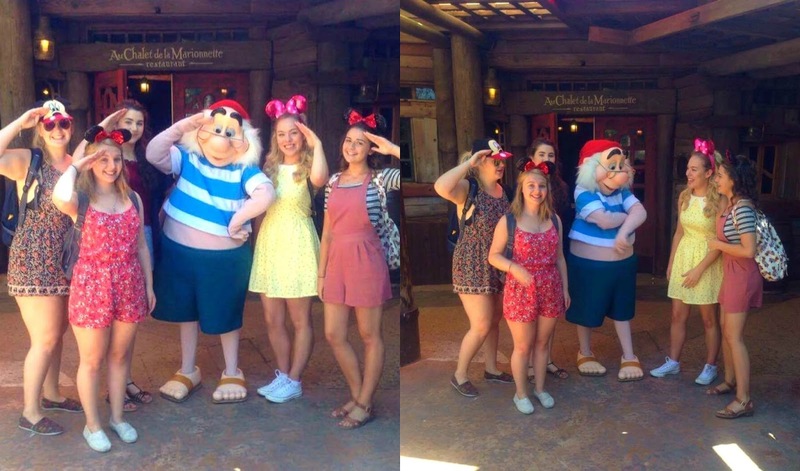 Although these characters don't talk, they have so much personality and Smee was an adorable bumbling character. We are all massive Disney princess fans so when we bumped into Belle and Adam (Beauty and The Beast) we were over the moon! 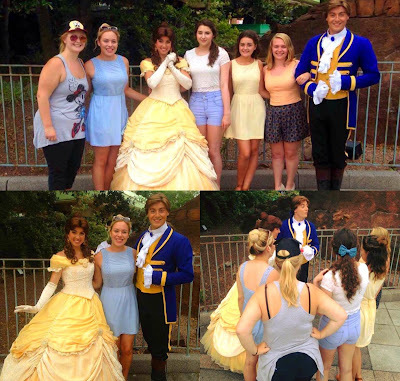 Its rare to catch sight of Belle in her ballgown and Adam so we were extra excited- they were very lovely and completely flawless. So dreamy! My six year old self would be bursting with joy as I met Jessie from Toy Story. My Jessie toy was my favourite growing up and I even had a fancy dress costume like her outfit. She was so cute and lovely to meet. I'm not a massive superhero fan but I do love Spiderman so it was awesome to meet him and of course do the 'spidey- pose' with him. 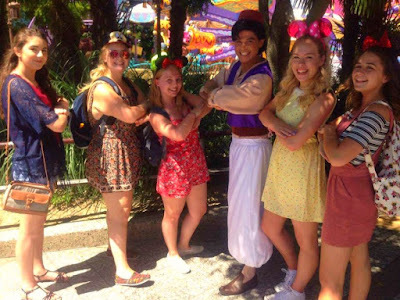 Its fair to say I have a massive crush on many Disney characters but Aladdin is the top of that list (along with Hercules, obviously). So I was super excited (and slightly flustered) to meet the man himself. He was very sweet and took the time to remember each of our names and give us big hugs. 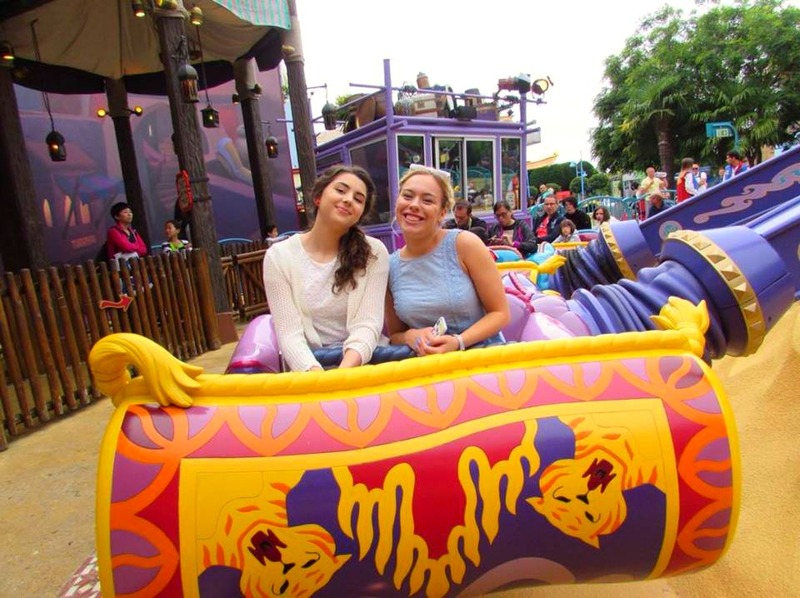 We obviously spent lots of time going on all our favourite rides in the two Disney parks too! 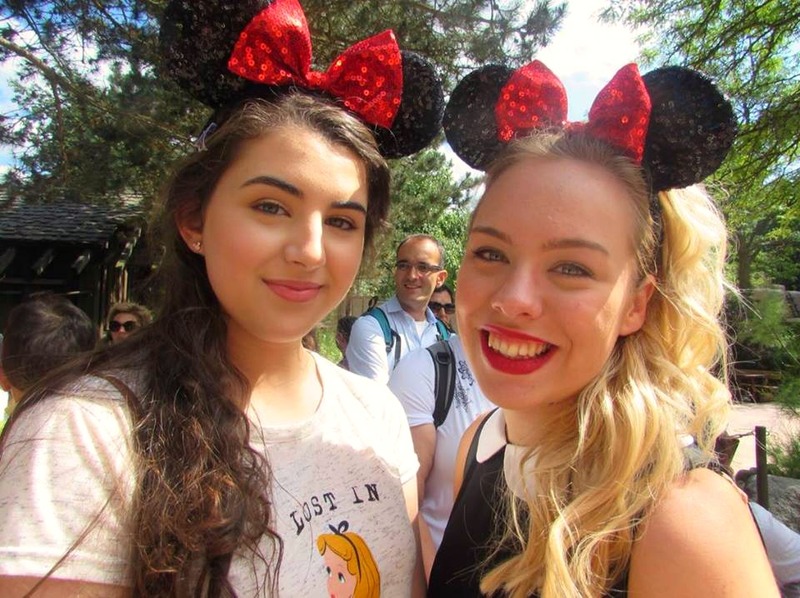 We were a little disappointed to find that Big Thunder Mountain was closed for reconstruction but instead made the most out of all the other rides- Space Mountain, Peter Pan's Flight, Ratatouille and Crush's Coaster being my favourites! 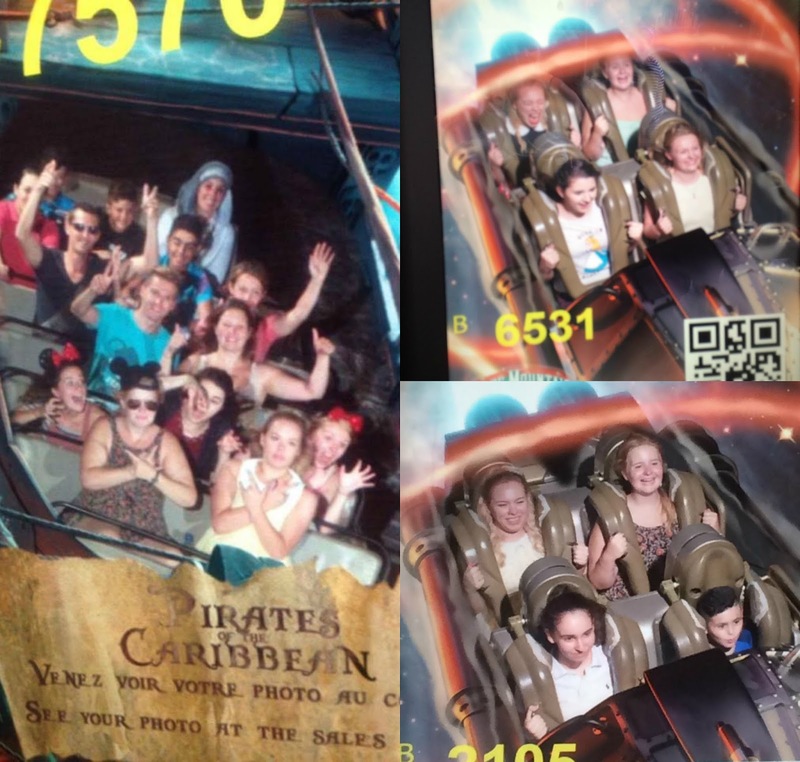 The top right photo really shows how much I enjoyed Space Mountain the first time, haha! But I ended up going on it three times! 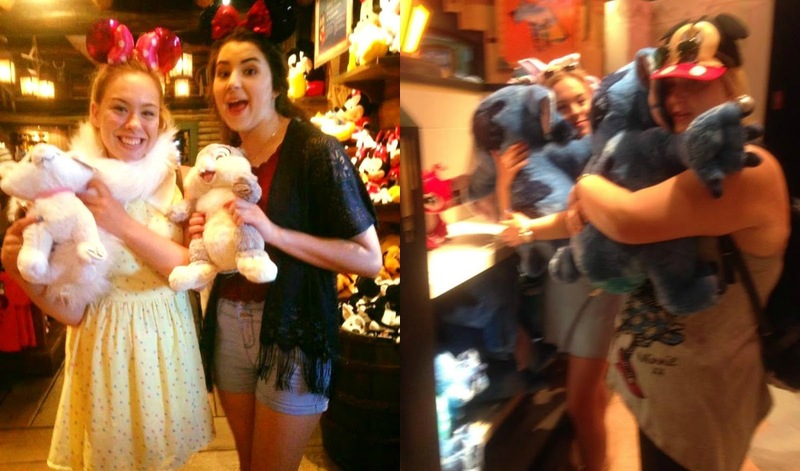 A lot of Disney shopping was involved! 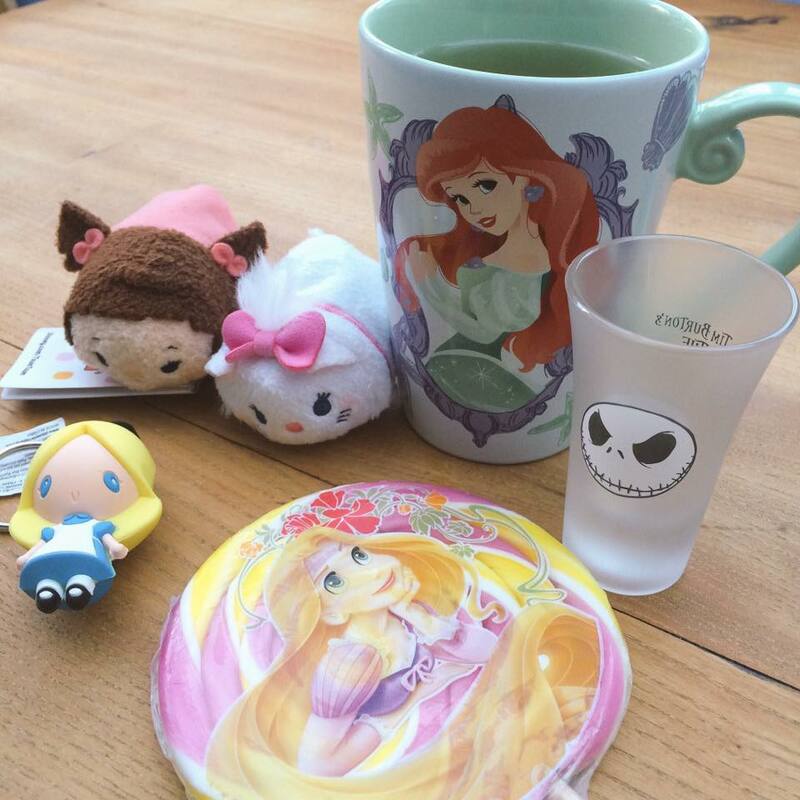 I was particularly drawn to the adorable toys but sternly told myself that I didn't need to buy any more (sigh). Here's a little haul of what I did buy! I mean, who doesn't need a Jack Skellington shot glass?! In love! 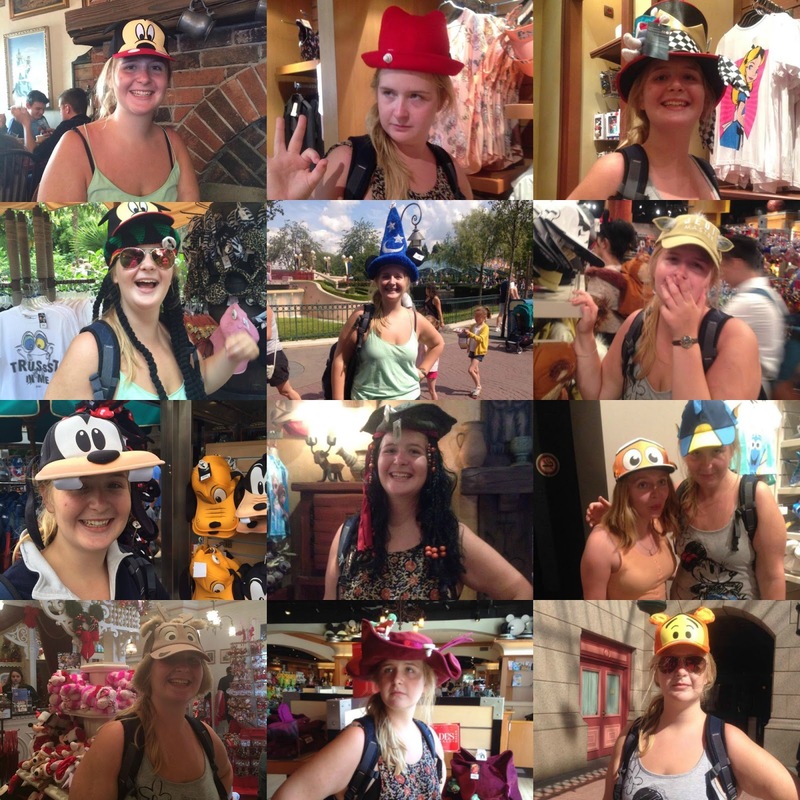 As we shopped throughout our trip, my friend, Jenny, adopted a love for the array of Disney hats on offer. Each shop visit resulted in a new hat and of course we captured the moment. I promised Jenny a special feature on my blog, especially dedicated to her impressive hat collection. My favourite has to be the Captain Jack Sparrow look and of course her signature Mickey Mouse baseball cap. At 11PM every night there is a spectacular light/ firework/ water show called Disney Dreams and it is without a doubt one of the most fantastic spectacles I have ever seen. Even though this was my fourth time watching the show live, it still gets me every time and I end up bawling after watching it. 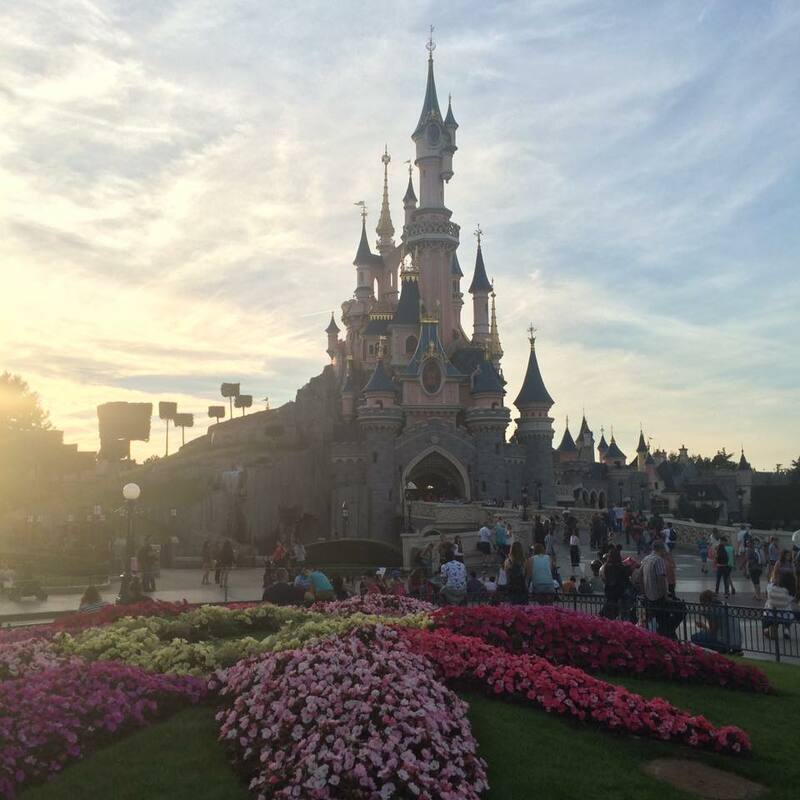 Its so breath-takingly beautiful and I get so caught up in the magical moment! 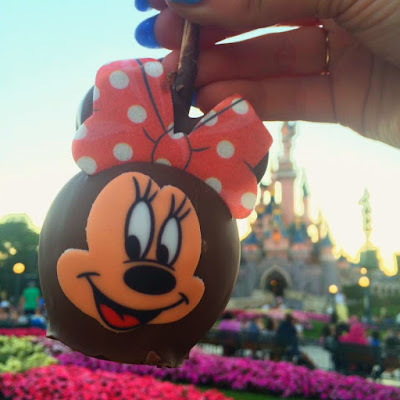 We also caught some other amazing shows like the Disney 4D Short Film Festival, Stitch Live, Mickey and The Magician, Frozen Sing- A- Long and Moteurs… Action! Stunt Show Spectacular! They were all fantastic shows full of action, fun interaction and powerful performances. I had the best few days ever. 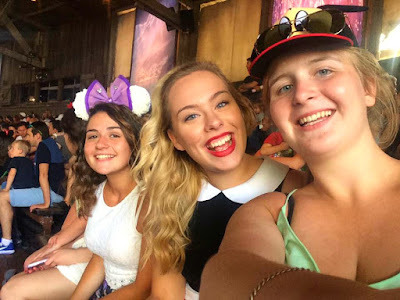 The whole time I was completely beaming with joy to be surrounded by so much Disney magic with some of my favourite people in the world. 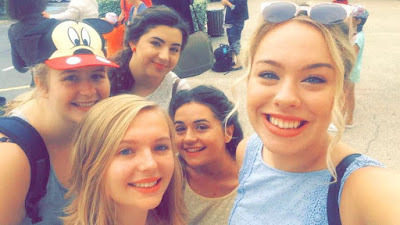 We had so much fun together and its been the perfect trip before we all head our separate ways as we leave for university in September. I couldn't ask for better friends. 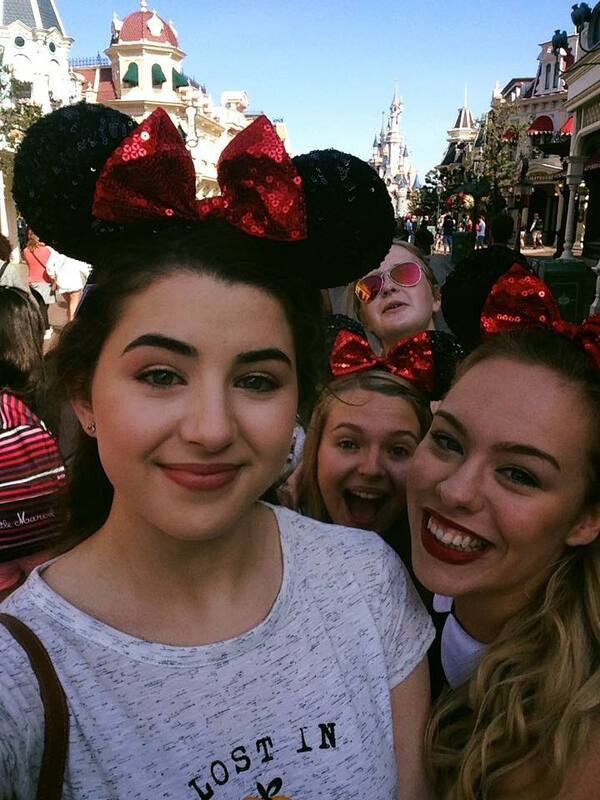 Disney will forever hold such a special place in my heart and this trip will also. 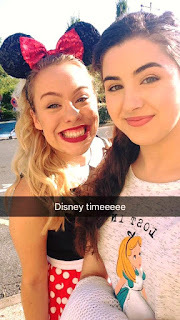 I already can't wait to visit again! 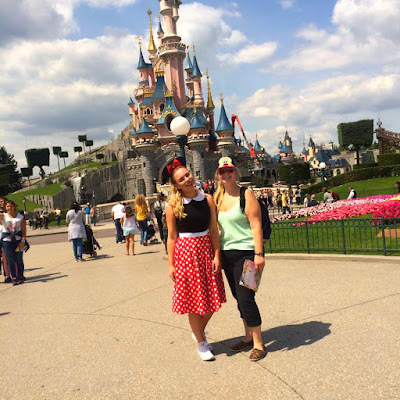 Keep an eye on my blog for further Disney blog posts and also my Twitter and Instagram for constant Disney spam! 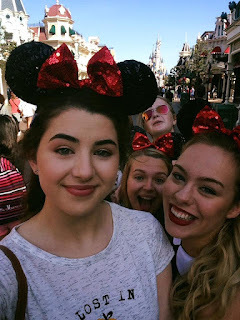 Hello...your image shows that you are enjoyed a lot with your friends in Disney world. I like your shared post, it forcing me to go there. • A good guide is backing for your career success, as well as it will give you a driving development too. So select a best essay writing service guide who can help you in your task. In the event that your counsel does not know how to be a decent author, he cannot prepare you to be a decent essayist. A potential consultant can help you to finish your task impeccably. Select a counselor whom you can share your exploration advantages, thoughts, recommendations and so on. 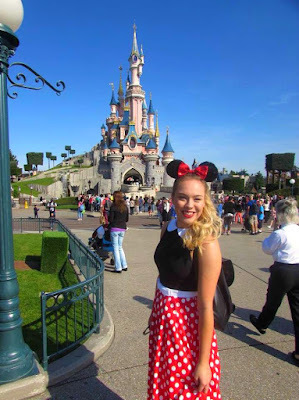 Disneyland Paris has been always the center of attraction for tourist, I also have visited once to see one of the wondered and I really enjoyed, You just refreshed my memory. Get the best package for Coach Holidays To Disneyland Paris to enjoy and make your journey memorable.